If you have a heart for ethically conscious investment, this program is the guidebook to sustaining the planet through alternative market investment. Since the introduction of corporate social responsibility (CSR) campaigns, the focus on ethics as a priority in business strategy has resulted in capacity building and capitalization. Community and environmental CSR programs add intangible value to organizational profitability through contribution and brand identity association. Financial institutions charged with the responsibility of procuring OECD country funds for the benefit of creating the conditions for micro-economic development initiatives developing markets, now apply ethical and alternative market instruments to those projects. Carbon development mechanisms (CDM) implemented as part of those projects, are tied to the global financial markets through the issuance and listing of carbon offset securities instrumental to World Bank program capacity building. The convergence of CSR programs with institutional development is best seen in the scenario of public-private partnerships set up to support sustainable community infrastructure. Funded through institutional, government allocations, and private corporate or trust investment, these alternative finance projects emphasize stakeholder equity and interests. Participatory budgeting strategies, involving community leaders in the neighborhoods where those projects are developed, co-join forces with public officials and business leaders to achieve development goals. Financiers are asked to come up with an ethics to creative finance. 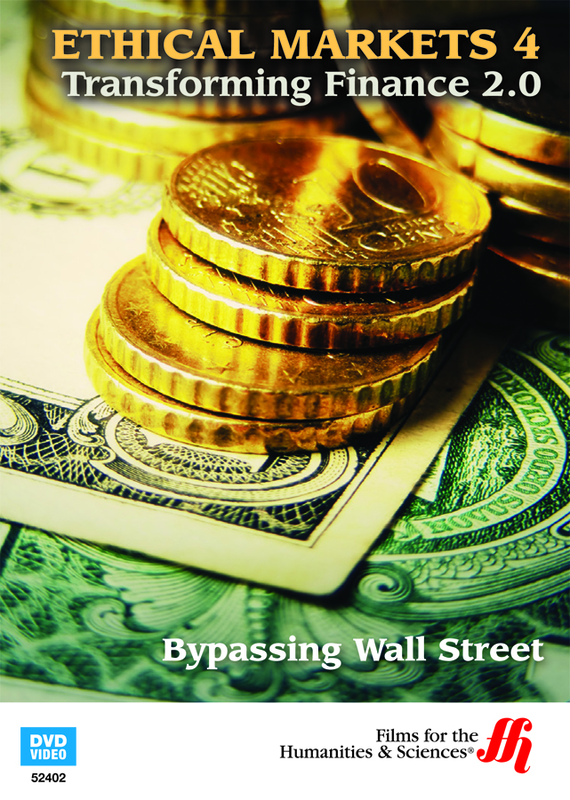 Covering the limits of ethical suggestion in market trading, where federal regulatory rules bind those transactions, the program looks at how socially conscious investors are bypassing Wall Street, and redirecting capital to Main Street via responsible investment. The documentary program addresses the risks of deregulation, IPOs, and high-frequency trading, and suggests that sustainability rather than competition should be the priority.